Now that the the new Apple iPad has been launched, the rumor mill is turning its attention to the Apple iPhone 5. According to iMove, a site that correctly forecast the date when the Cupertino based firm would announce the new iPad, as well as correctly predicting its 4G connectivity, the next Apple iPhone will also support LTE. There is some bad news for those who were counting on Apple to challenge Android models with large sized displays. According to iMove's sources, the display on the next iPhone will be similar to if not the same 3.5 inches that it always has been. This goes against recent speculation that Apple would be increasing the screen to as much as 4.6 inches on the 6th gen Apple iPhone. One change that iMove says will happen is a switch to a smaller dock port for charging and data transfers. If this rumor is correct, the 30 pin connector that has come inside the Apple iPhone box since day 1 will become a thing of the past. That dovetails with a report from Japanese blog Macotakara which back in October forecast the smaller port, saying that Apple wanted to make room for other components inside the phone. According to the source, the next Apple iPhone is on schedule for a fall release, most likely in October. Well what phone maker wouldn't have em ready? It's when they don't have em ready to buy that bad. not a good move apple! believe me many people would buy the next iPhone if it got a bigger screen .. 3.5 for kids hands! btw, im a Galaxy Nexus owner, and would defintly buy the next iPhone if the screen is between 4" - 4.5"
Agreed! If thescreen was between 4" - 4.5" i would definately purchase one. I need reasons to stay an Apple customer. Yeah, well I'm a proud RAZR™ owner and the only way I'd consider an iPhone was if it had a 5.3" screen. Otherwise, it's a G-Note for me. And, before you say anything, if the RAZR™ had a 5.3" screen I would not consider another phone. ♥ my RAZR but, size matters !!!! pretty much the only thing holding me back from an iphone is the screen size. I have an ipod touch and it feels like a toy, I can't imagine using the iphone as my daily phone. 4.6" may be overkill, but I don't see what's wrong with 4-4.3"
Never know, it's jus speculation at this point. I hope they increase it too, but I doubt it would be as bug as 4.5. I would honestly be dissapointed!!!! The Screen size of the iphone is the only thing i dislike about the device!!! Right there with you. 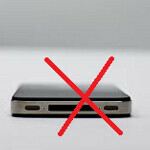 I don't buy this rumor...I don't think Apple is blind to the disappointment people had with the last iPhone. It was a great upgrade of the iPhone 4...but there are a lot of people waiting for a brand new iPhone with a larger screen and a big redesign. If Apple doesn't supply it, it will be a huge misstep on their part. More speculated rumors without validated concrete evidence. They state that in the article, "According to iMove's sources, the display on the next iPhone will be similar if not the same 3.5 inches that it always has been.". Lol at who gave this a thumbs down! What was the point? Nothing rude was said. Just posted something from the article. HAHA good point!! Not surprised at all!! Exactly what's the point in giving a thumbs down to a nonobjective statement? Lolwowwww... If u had said today is saturday, they woulda given it a thumbs down. Well well well, look at this. Another case of same old crap, different day. Apple you silly silly fools. That is the number 1 reason why I won't go back to owning an iPhone again. Sure back in 2009 when I had the 3G, I thought it was awesome, but times have changed. I tried using an iphone at a best buy store, doesn't matter how sharp the screen resolution is when you can only see a small part of the webpage. Apple secret no body know until the phone is in stores. "10. som posted on 4 min ago Apple secret no body know until the phone is in stores." Except some guy in a bar. Lots of phones with huge screens, and all of them come with the complaint of low battery life. Smaller screen = better battery life, lighter weight because it doesn't need a huge battery, and smaller phone size for easier pocket carry. The way I see it, if you want a phone with excellent portability, then a smaller screen is inevitable. If you want a tablet, go get a tablet. I say let Apple make smaller screens. ok sgtdumbie you clearly have no idea what you are talking about lol. Bigger battery = better battery life. The Droid Maxx got a huge battery and it can last you 2 days without charging it. Despite it having a 4.3 inch display. The Galaxy Note can also last a full day and that big boy has a 5.3 inch display. Look at the original Droid, only 3.7, barely bigger than the iphone and god bless it's soul it had pretty crappy battery life. The move to larger displays also mean larger device, thus giving them the chance to put in a larger battery. lol and how long does it actually last you? My Galaxy Nexus lasts me a whole work day of 8 hours and 3 hours later when I get home. Depends on how much you use it, brightness settings, yada yada yada. The point I was trying to make is the bigger the battery the longer your device can last. So "dude" I do know what I'm talking about.